What a better way to get to know spanish gastronomy than being able to eat a slice of every dish. In Mercado San Miguel (Madrid) you will be able to find paella, tapas, pubs, wine shops, brochetas and other delicatessen all in one spot. If you’re more into triggering your senses, La Boqueria (Barcelona) is Europe’s largest market, hosting more than 200 stands. Not only will you find local products but also a series of bars, restaurants and on the go snacks. According to Guinness Records, the world’s oldest restaurant is El sobrino de Botín (Madrid), opened since 1725. Visited by many, it stands out for its cozy ambience and exquisite food, including and not limited to the roasted lamb and cochinillo. After, to satisfy your sweet tooth, walk around Plaza del Sol because here you’ll find the best churros in town. Chocolateria San Gines is Madrid’s oldest and its reputation and quality continues on since 1894. One thing that this country is definitely not lacking are art museums as there is one for every taste and they are worth taking up a whole day. With so much to see and acknowledge, in Madrid one should visit Museo del Prado, Museo Reina Sofía and specially Museo Nacional Thyssen-Bornemisza as it includes art by Van Gogh, Gauguin, Miro, Dali, Degas, etc. In Barcelona, the Museu Picasso exhibits over 4,000 of his works which show how Pablo Picasso transitioned and grew throughout the years. A quick stroll around Barcelona and one may encounter unique and imaginative buildings which defy what was thought possible. 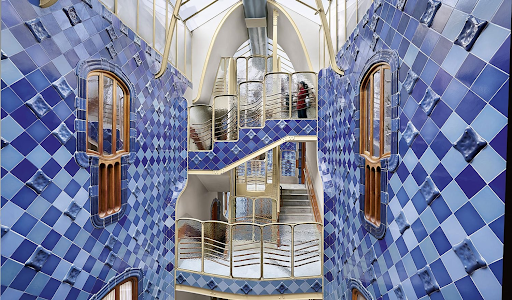 Spanish architect, Antoni Gaudí, left an influential legacy with each of his creations. Characterised by striking colors, labyrinth looks and natural curves, each structure will take your breath away. Some spots include Parque Güell, Sagrada Familia (a church that has taken more than 130 years to build) and Casa Batlló. If you are up for the adventure, you’ll find yourself walking down narrow, winding streets where trendy bars, restaurants and attractions are common denominator. Just exploring this roman sector of Barcelona is a treat by itself because of the beautiful gothic architecture. Don't forget to look around when walking or you will miss the beautiful details, churches or plazas. After so much to see and eat, don't miss Parque del Retiro for a slightly different plan. This oasis in the city of Madrid is the perfect spot to walk around, do some exercise and watch puppet shows if travelling with kids. 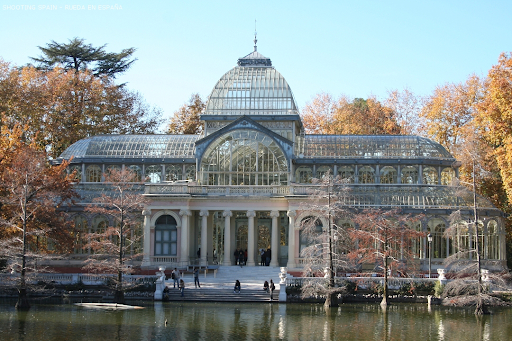 You can also rent a rowing boat or explore the Palacio de cristal, literally a glass palace in the middle of a lively city. Segovia, a historic city north from Madrid, is perfect for architecture lovers. Here you’ll find a famous aqueduct (listed as a world heritage), gothic churches and castles. Also, a must-do is the Royal Alcazar of Seville which has seen cultures come and go. With its moorish design, ponds and maze gardens it is assured to give you an afternoon to remember. Approximately one hour away from Madrid one can find a town that looks straight out of a fairy tale. Avila is known best for its stone walls (once used as defence) and vast churches and chapels. If interested in religious history this trip is worth the while as you can visit Los Cuatro Postes and the Convento de Santa Teresa. This spanish tradition that takes place around Barcelona is like nothing seen before. Right before your eyes, you will watch how people at the base (called pinyas) will start by supporting the weight of few people until a whole huge human tower is built. The Castell tradition, classified as a masterpiece heritage by UNESCO, will sure give you plenty to talk about. To completely enjoy this trip one must definitely have fun in the spanish beaches. Just soaking up the sun and letting yourself relax in the warmth of the sun and sea is what everyone needs. Some recommended beaches are Sitges, Ibiza and asturias. Do you have any favorite spots in Spain? Comment below and let us know, and don’t forget to join us on our Spanish culinary expedition! For travelers looking for a trip centered around relaxation and meditation, Mallorca is the place to be. This idyllic Spanish island is the perfect location for wellness retreats, which will leave you feeling rejuvenated and balanced. If you’re curious as to why Mallorca is such a popular destination, read on to discover the virtues of this special island! Cities like Madrid and Barcelona get all the attention from tourists in Spain, but visitors who ignore the Andalusian region of the country are missing out on an exceptional opportunity to explore new dimensions of Spanish beauty and culture. If you’re unsure what Andalusia has to offer, let us convince you why it should be next on your bucket list! Our Founder & CEO, Kylie just got back from an adventurous 3 week trip to Europe! Her first stop was Iceland. Read on about her experience from her journal entry on Day 1. Packing for Europe (or any trip) is often a love/hate relationship. We love it because it signals a new adventure, but loathe it because the stress of forgetting something haunts us. The balance between packing too little and too much is a fine one. To ease the tension, our Founder & CEO, Kylie Chenn, has a few tips on how to pack for your trip to Europe. Watch as she walks us through packing for her trip to Europe - including Iceland, France, Italy, Spain, Portugal, and Greece. Older PostClothing Made from Bugs?